Kit includes single springs for endurance applicaitons, 40 lbs on the intake, 50 lbs single springs on the exhaust and Titanium Retainers. OK to .394" Valve Lift. Price Per Set (4). High temperature valve stem seals operate at a higher temperature than other seal materials. The seals retain pliability in situations where other materials would become hard and lose their sealing capability. Price Per Set (2). 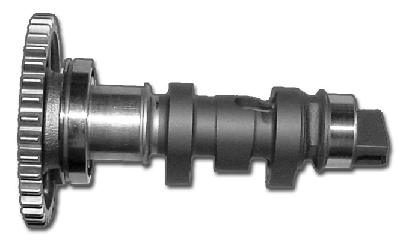 We recommend to replace intake tappets. See part number CF-Y00. If you wish to have a flange pressed on instead of a stock gear, please advise at the time of ordering. The new flange will allow for you to use an adjustable cam gear see part CG-H14. We also sell a conversion kit see CG-H11.